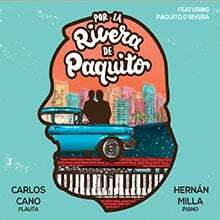 Flute Piano Duo, Carlos Cano (Flute) and Hernan Milla (Piano), have put together an incredible tribute to the unique artistry and vision of Paquito D’Rivera entitled Por La Rivera de Paquito. Paquito D’Rivera is a river that runs and winds practically through the entire American continent; a river that flows along gathering and pulling every material of sound that it finds in its way. Sailing along we discover the sublime and personal style of this unique artist and in doing so his heritage and influences are revealed to us. Paquito’s constant references to leading figures like Diz, Chucho, Toots, Piazzolla, Lecuona, Lauro or Goodman have likewise inspired us to make this tribute to his art. To all the people that fill our environment with hope and joy, and to our musician friends that nourish the flow of our stream. To all of you for making a river out of a stream: thank you. The album includes “A Night in Tunisia” by Dizzy Gillespie, whom Paquito was a performing member of Dizzy’s United National Orchestra; a work by Carlos Cano of the influences of Chucho Valdes; and several pieces written by D’Rivera himself. 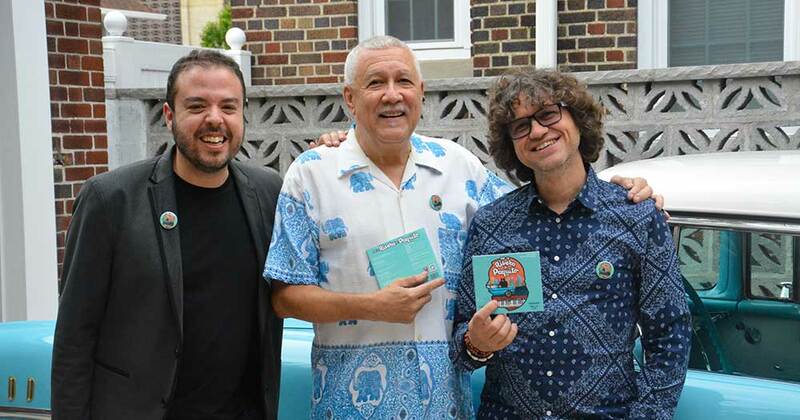 The compositions and instrumental combinations reflects the versatile musical influences Paquito D’Rivera has embraced from the American continent. “Good arranging is like recomposing” it was once said wisely by the immense Duke Ellington, whose marvelous music has been performed in multiple ways by millions of artists around the world. Indeed, the greatest satisfaction that a composer can feel is listening to his own music arranged and performed by others in their own personal style knowing that they will bring this musical art to a larger audience. In my particular case, among so many valuable composers in the contemporary scene, it is a compliment to me that Carlitos, Hernan and this group of young and talented musicians have devoted their time to orchestrate and record these very dear compositions, and nestle them between those of Dizzy and Chucho, two characters that have been key influences in my career. 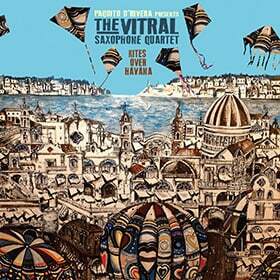 The album was released late July with the Veleta Roja Editions label, and is available from iTunes, Bandcamp, and other fine music vendors. Explore more albums of Paquito D’Rivera.